Five Prime Ministers died while sitting as Members of Parliament. Two of them were still Prime Minister at the time: Sir John A. Macdonald in 1891 and Sir John Thompson in 1894. The second PM, Alexander Mackenzie died in 1892 while serving as MP for York East. Sir Wilfrid Laurier was Leader of the Opposition when he died in 1919. 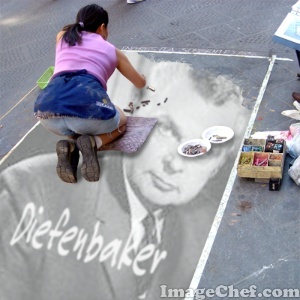 John Diefenbaker died on the job, doing constituency work in his Ottawa study in 1979. In all, 317 Members of the House of Commons have died in office since 1867. The first one, in 1868, was Thomas D’Arcy McGee — Canada’s first political assassination. The most recent was Jack Layton, Leader of the Opposition, on August 22.